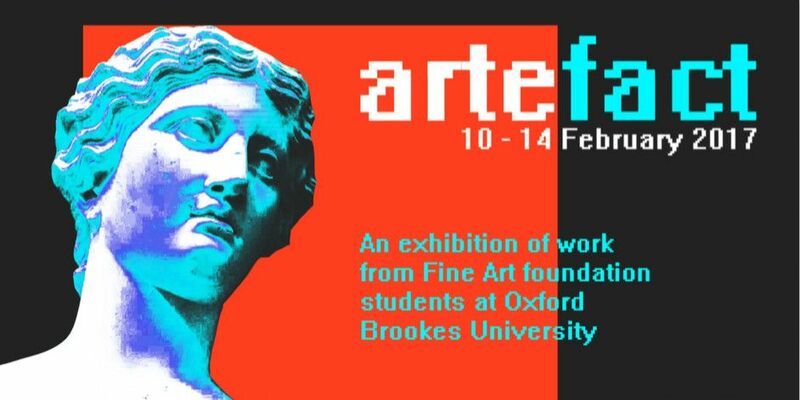 Artefact is an exciting collaborative project taking place in Oxford, between Oxford Brookes Art and Design Foundation students, the Ashmolean Museum and OVADA. The studios at the university are already a hive of activity this early in the year, with challenging concepts being explored and striking works in the process of being made. 36 students from the Foundation course are in the process of finalising ideas for artworks which have taken inspiration from the collection housed at the Ashmolean Museum. The museum’s diversity will be represented in the variety of work produced by the students in response to their research. Many of the works look to explore the ways the museum represents the crossing of cultures and times in its architecture and methods of display. Our students are currently grappling with ways to visualise the half a million years of history and art represented by the Ashmolean, many intrigued by the Roman casts, others by the architecture of the building and even the founder of the museum, Elias Ashmole himself. The title Artefact, also chosen by the students, provides a perfect starting point for responses to investigate both fact and art. By the end of January, a panel comprising of staff from the Ashmolean and OVADA, will select a number of works to be exhibited at OVADA gallery in an exhibition which will open for a preview on 9 February 2017. Museum collections have long provided inspiration for artists and the Ashmolean is world famous for its presentation of the history of humanity. As the students have discovered the collection of artefacts and artworks they have revealed interesting facets of cultures and time periods from all over the globe. The newly created work has provided a method of both uncovering these histories and also of inventing new ideas for artworks and objects, giving us a fresh way of interpreting these objects in our time.